Oakley, Blake William; Taken on strength with 15th Coast Regiment RCA on 27 Nov 1947, struck off strength on 16 Jan 1948. Oatway, Steven Wallace; Taken on strength as a Musician in 15th Field Artillery Regiment RCA on 24 May 1977, qualified Musician Basic TQ1 on 26 Jul 1977, qualified Musician Basic TQ2 on 26 Jul 1977, released on 16 Nov 1978. Oben, Sam; Taken on strength as a Gunner in 15th Field Artillery Regiment RCA on 24 Jan 1985, qualified General Military Training on 9 Aug 1985, qualified QL3 Artillery on 20 Sep 1985, qualified Driver Non-Trade on 30 Dec 1985, qualified TQ2 Artillery Technician on 9 Aug 1986, released 29 Jan 1987. 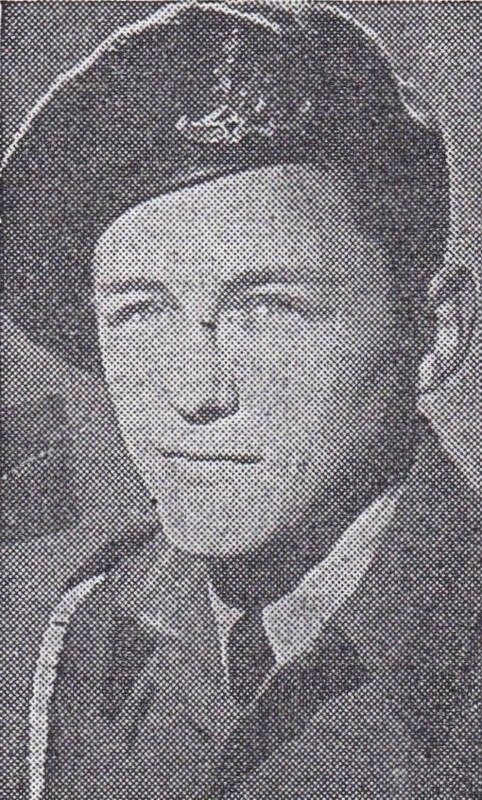 O'Brien (O'Brian), John Adrian; Taken on strength in 15th Field Regiment RCA with former service in Seaforth Highlanders on 3 May 1951, struck off strength on 16 Apr 1953, taken on strength on 28 Jan 1954, struck off strength on transfer to Seaforth of Canada on 6 Dec 1954. O'Brien, John Jefferson; Taken on strength 31 Battery 15th (Vancouver) Coast Brigade RCA NPAM 30 Aug 1940, assigned regimental number V9481, assigned new regimental number K415585. O'Brien, Pat; Taken on strength with 85 Battery 15 Field Regiment RCA on 12 Feb 1948, winner Machine Gun competition Blair Ranges 1948, struck off strength on 1 Apr 1949. 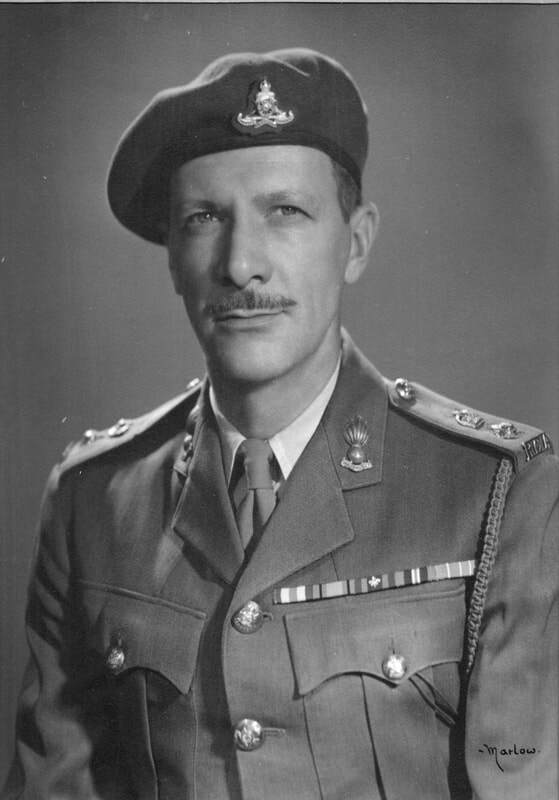 O'Brien, Terence C; Taken on strength Canadian Officers Training Corps in 1952, Second Lieutenant in 1954, taken on strength from Canadian Officers Training Corps on 1 Oct 1955, promoted Lieutenant on 19 Jul 1956, Captain, deceased 22 May 2015. Oceguera, Ian M; Taken on strength in 15th Field Artillery Regiment RCA 2011, Second Lieutenant from 2013 to 2014, Lieutenant in 2017. O'Connell, Thomas James; Taken on strength 28th Infantry, attested into Canadian Overseas Expeditionary Force 10 Apr 1916, 64th Depot Battery, regimental #334824, arrived in England 24 Aug 1916, taken on strength Reserve Brigade 24 Aug 1916, taken on strength 1st Division Ammunition Column 17 Dec 1916, posted to 12th Brigade Canadian Field Artillery in France 19 Dec 1916, attached to 1st Canadian Division Mortar Battery 25 Mar 1917, transferred to 8th Brigade Canadian Field Artillery 11 Jul 1917, admitted 24 Field Ambulance influenza 20 Nov 1917, transferred 1st West General Hospital Liverpool 13 Dec 1917, transferred Canadian Artillery Reinforcement Depot 13 Dec 1917, transferred to Composite Brigade 29 Jul 1918, taken on strength 16th Brigade Canadian Field Artillery 25 Aug 1918, appointed Acting Bombardier with pay and allowances 25 Aug 1918, proceeded to North Russia Expeditionary Force 20 Sep 1918, disembarked Archangel 1 Oct 1918, awarded Military Medal 2 Feb 1919, reverts to Gunner at own request 14 Apr 1919, Driver in "C" Sub Section in Apr 1919, embarked Archangel 11 Jun 1919, disembarked United Kingdom 18 Jun 1919, to Canada 5 Jul 1919, demobilized 16 Jul 1919. O'Connell, William; Attested into Canadian Overseas Expeditionary Force 16 Jan 1917, 75th Depot Battery Canadian Field Artillery, regimental #345905, arrived in England 7 Apr 1917, taken on strength Reserve Brigade 8 Apr 1917, taken on strength 1st Canadian Reserve Artillery 22 Jun 1917, taken on strength Reserve Brigade Canadian Field Artillery 18 Nov 1917, taken on strength Canadian School of Gunnery 5 Feb 1918, taken on strength Canadian Artillery Reinforcement Depot 6 Feb 1918, taken on strength 68th Battery 16th Brigade Canadian Field Artillery 17 Sep 1918, appointed Acting Bombardier with pay and allowances 25 Aug 1918, proceeded to North Russia Expeditionary Force 20 Sep 1918, disembarked Archangel 1 Oct 1918, embarked Archangel 11 Jun 1919, disembarked United Kingdom 18 Jun 1919, to Canada 5 Jul 1919, demobilized 15 Jul 1919, deceased 18 Apr 1962 Ottawa ON. O’Donnell, Joseph Vincent; Drafted 74th Battery Canadian Field Artillery Canadian Expeditionary Force 3 Jan 1918, regimental #345125, embarked Halifax 27 Feb 1918, disembarked Glasgow 11 Mar 1918, taken on strength Reserve Brigade 12 Mar 1918, taken on strength Composite Brigade Canadian Reserve Artillery 6 Sep 1918, taken on strength 68th Battery 16th Brigade Canadian Field Artillery 17 Sep 1918, appointed Acting Bombardier with pay and allowances 25 Aug 1918, proceeded to North Russia Expeditionary Force 20 Sep 1918, disembarked Archangel 1 Oct 1918, embarked Archangel 11 Jun 1919, disembarked United Kingdom 18 Jun 1919, to Canada 5 Jul 1919, demobilized 15 Jul 1919. Ogden, Samuel; Attested 8 Jan 1917, regimental #342055 Gunner 71st Battery, embarked Halifax 28 Mar 1917, disembarked Liverpool 8 Apr 1917, taken on strength Reserve Brigade Canadian Field Artillery 8 Apr 1917, taken on strength 2nd Brigade Canadian Reserve Artillery 22 Jun 1917, granted leave of absence from 12 to 28 Aug 1917, proceeded overseas to 1st Divisional Ammunition Column 11 Sep 1917, posted to Artillery Pool 13 Sep 1917, admitted to Casualty Clearing Station mustard gas 17 Nov 1917, invalided and posted to Canadian Artillery Regimental Depot 26 Nov 1917, on command to 2 CCD 9 Jan 1918, taken on strength Composite Brigade 12 Jul 1918, taken on strength 68th Battery 16th Brigade North Russia Expeditionary Force 12 Jul 1918, proceeded overseas 20 Sep 1918, disembarked Archangel 1 Oct 1918, embarked for the United Kingdom 11 Jun 1919, to Canada 5 Jul 1919, discharged 15 Jul 1919. Ogilvie, Alexander Thomas; Enrolled 1896, served in South Africa, 10 years in Active Militia and 18 years Royal Canadian Artillery, Lieutenant-Colonel in 15th Brigade Canadian Field Artillery 1916, embarked Halifax 11 Sep 1916, disembarked Liverpool 22 Sep 1916, absorbed by 14th Brigade Canadian Field Artillery 22 Jan 1917, assumes duties of Commander Royal Artillery 5th Division 26 May 1917, returns to unit 2 Jul 1917, proceeded overseas with 14th Brigade 21 Aug 1917, granted 14 days leave of absence 20 Dec 1917, rejoins unit 5 Jan 1918, granted leave of absence to United Kingdom 23 Jul 1918, awarded Distinguished Service Order 15 Feb 1919, proceeded to England 11 May 1919, sailed for Canada 12 Jun 1919, discharged from Canadian Expeditionary Force 28 Jun 1919, mentioned in despatches 11 Jul 1919, promoted Colonel, promoted Brigadier, retired 1927, Brigadier General in 1930, deceased 25 May 1935. O'Keefe, James Cornelius; Attested No 9 Stationary Hospital 1 Mar 1916, regimental #534428, embarked Halifax 19 Jun 1916, disembarked Liverpool 29 Jun 1916, appointed Acting Sergeant 20 Jun 1916, confirmed Sergeant 20 Jun 1916, taken on strength 66th Battery 14th Brigade Canadian Field Artillery 20 Apr 1917, reverts to Gunner at own request 20 Apr 1917, landed in France 22 Aug 1917, invalided sick and posted to Canadian Artillery Regimental Depot 29 Nov 1917, attached 2 CCD 14 Jun 1918, cease attachment 23 Jul 1918, taken on strength Composite Brigade 26 Jul 1918, taken on strength 68th Battery 16th Brigade North Russia Expeditionary Force 6 Sep 1918, proceeded overseas 20 Sep 1918, disembarked Archangel 1 Oct 1918, hospitalized sick 16 Mar 1919, rejoined from hospital 10 Apr 1919, septic poisoning both legs 28 May 1918, embarked for the United Kingdom 11 Jun 1919, to Canada 5 Jul 1919, discharged 2 Aug 1919, deceased 21 Jun 1935. 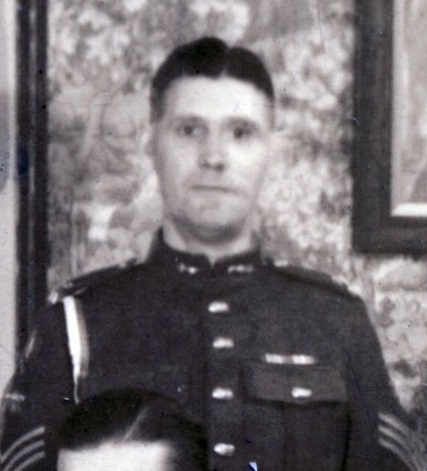 Okon-Ockoniy, Antony Charles; Taken on strength and promoted Warrant Officer Class II on 10 Sep 1946 to 1948, reverts to Staff Sergeant at own request on 19 Jan 1950, struck off strength deceased on 1 Sep 1950. ​Olberdyee; Lieutenant in 15th Field Brigade RCA in 1937. Olinek, Jacquelynn Denise; Taken on strength as a Gunner in 15th Field Artillery Regiment RCA on 22 Apr 1997, qualified QL2 General Military Training on 3 Aug 1997, qualified QL3 Artillery on 22 Aug 1997, released on 28 Apr 1998. Oliver; James Wesley; Taken on strength Queen’s Own Rifles, attested 34th Battery 9th Brigade Canadian Field Artillery 15 Nov 1915, regimental #304402, embarked Canada 5 Feb 1916, disembarked England 14 Feb 1916, transferred to 45th Battery 9th Brigade Canadian Field Artillery, landed in France 14 Jul 1916, granted 10 days leave 30 Sep 1917, rejoined unit 17 Oct 1917, proceeded on gas course 20 Jan 1918, rejoined unit 26 Jan 1918, invalided sick and posted to Canadian Artillery Regimental Depot 13 Mar 1918, taken on strength Composite Brigade 28 Jun 1918, taken on strength 68th Battery 16th Brigade North Russia Expeditionary Force 21 Aug 1918, proceeded overseas 20 Sep 1918, disembarked Archangel 1 Oct 1918, hospitalized sick 16 Mar 1919, rejoined from hospital 10 Apr 1919, septic poisoning both legs 28 May 1918, embarked for the United Kingdom 11 Jun 1919, to Canada 5 Jul 1919, discharged 15 Jul 1919. Oliver, John Howard; Taken on strength as a Gunner in 15th Field Regiment RCA on 17 Feb 1949, struck off strength on joining Active Force on 11 May 1949. ​Olsen, Brian Edward; Taken on strength as a Gunner in 15th Field Artillery Regiment RCA on 15 Feb 1977, qualified General Military Training on 18 Jun 1977, qualified Artillery R021 on 25 Aug 1977, promoted Bombardier on 1 Mar 1978, qualified TQ2 Driver Wheeled on 3 Jan 1978, qualified TQ2 Artillery Technician on 3 Aug 1979, released on 10 Feb 1981. 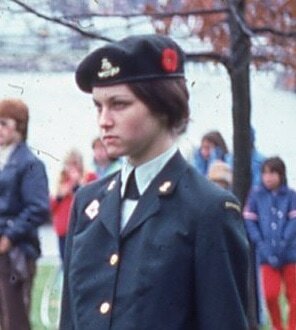 Olson, Nancy Marguerite; Taken on strength as an Administrative Clerk in 15th Field Artillery Regiment RCA on 26 Apr 1975, released on 15 Apr 1976. ​O'Malley, Pat; Gunner in 85th Heavy Battery 15th (Vancouver) Coast Brigade RCA in 1939, Orderly Trumpeter in 1939. O'Malley, Patrick D; Private in 31 Battery in 1994. O’Malley, Patrick Doran; Taken on strength as a Gunner in 15th Field Artillery Regiment RCA on 16 Sep 1993, qualified QL2 General Military Training on 1 May 1994, qualified QL3 Artillery on 30 Jun 1994, qualified QL4 Artillery Communications on 12 Aug 1994, qualified QL4 Forward Observation Technician on 16 Sep 1995, promoted Bombardier on 16 Sep 1995, released on 2 Aug 1996. O'Malley, Samuel Rodger Charles; Taken on strength from General List to 15th Coast Regiment RCA as Lieutenant on 1 Apr 1946 to 1950, awarded the Efficiency Medal on 15 Feb 1950, struck off strength on transfer to Supplementary Reserve on 25 Oct 1951. O’Neill, Liam James; Taken on strength as a Gunner in 15th Field Artillery Regiment RCA on 12 Feb 1987, qualified General Military Training on 13 Jun 1987, qualified TQ1 Artillery on 11 Feb 1988, qualified Forward Observation Tech on 4 Apr 1988, qualified TQ2 Basic Artillery Communications on 14 Jul 1988, qualified TQ1 Casualty Aide on 31 Jul 1988, qualified TQ2 Casualty Aide on 13 Aug 1988, promoted Bombardier on 12 Feb 1989, qualified QL3 BTT Infantry on 9 Aug 1991, released on 1 May 1993. 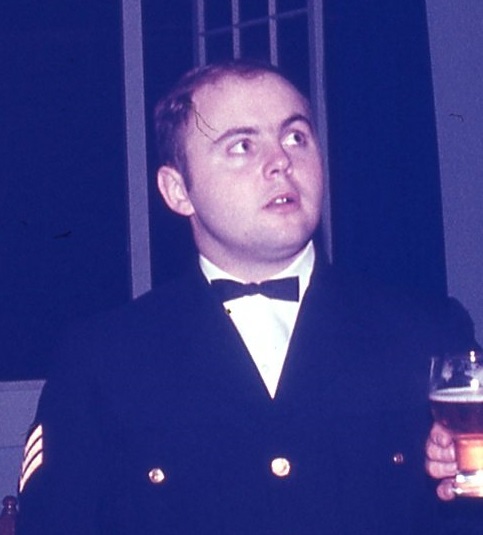 ​Orantt, Andrew Alexander; Taken on strength as a Gunner in 15th Field Artillery Regiment RCA on 23 Jun 1982, released on 22 Jul 1982, re-enroled on 3 Nov 1984, released on 26 Feb 1986. Ord, Lewis Craven; Taken on strength Montreal Heavy Brigade, enlisted in Canadian Overseas Expeditionary Force as a Lieutenant on 26 Oct 1915, Lieutenant in Halifax in 1915, Captain in 5th Siege Battery in Apr 1917, Mentioned in Despatches on 1 Jun 1917, promoted Major, in command of 2nd Siege Battery on 13 Dec 1918. ​Orehard; Sergeant in 15th Field Brigade RCA in 1937. 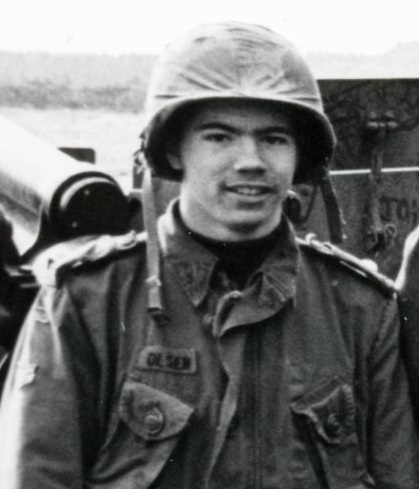 Orheim, DJ; Private in 85 Battery in 1969. Ormandy, Raymond; ​Taken on strength in 15 Field Regiment RCA on 15 Feb 1951, appointed Lance Bombardier on 21 Jun 1951, appointed Acting Bombardier on 29 Nov 1951, confirmed Bombardier on 1 Feb 1953, appointed Acting Sergeant on 1 Feb 1953, proceeded on Special Duty to Canadian Coronation Contingent (in the rank of Bombardier) from 21 Apr to 2 Jul 1953, reverts to Substantive Bombardier on 19 Apr 1955, struck off strength on release on 19 Apr 1955, taken on strength on 13 Oct 1955, promoted substantive Bombardier on 13 Oct 1955, appointed Lance Sergeant on 14 Oct 1955, promoted substantive Sergeant on 22 Jan 1956, promoted Acting Staff Sergeant on 1 Mar 1956, promoted Substantive Staff Sergeant on 1 Jun 1956, promoted Acting Warrant Officer II on 1 Jun 1956, reverts to substantive Sergeant on 1 Aug 1957, struck off strength on release on 1 Aug 1957, taken on strength on 23 Jun 1958, promoted Acting Warrant Officer Class II on 23 Jun 1958. Ormston, James Joseph; Taken on strength as a Musician in 5 (BC) Field Battery RCA on 27 May 1982, qualified TQ1 Musician on 17 Jun 1982, qualified TQ2 Musician on 28 Aug 1982, qualified General Military Training on 28 Aug 1982, promoted Bombardier on 27 May 1983, released on 8 Feb 1984, taken on strength in Royal Westminster Regiment on 2 Jul 1984, transferred to 15th Field Artillery Regiment RCA on 22 May 1985, transferred to Supplementary List on 9 Jan 1986. 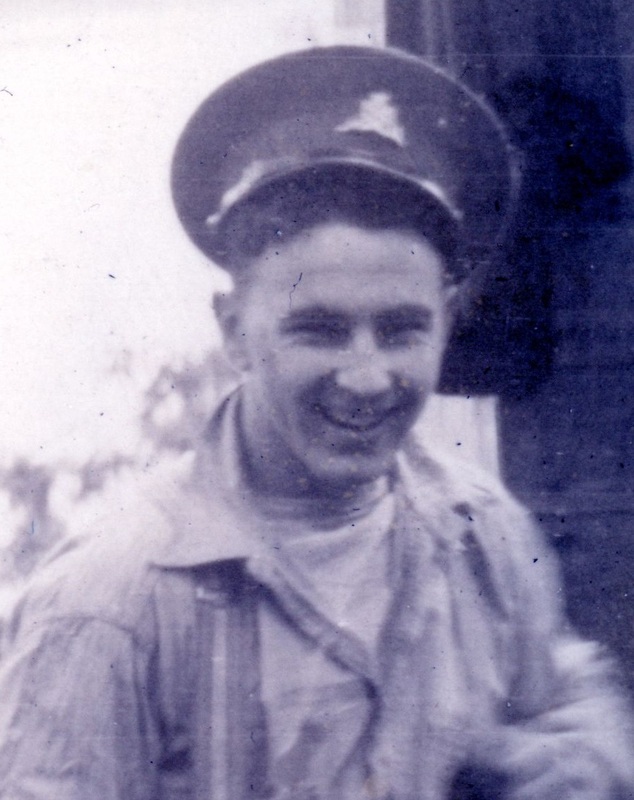 Orr, Edwin Thomas; Taken on strength as a Gunner with 58th Battery 15th (Vancouver) Coast Regiment RCA NPAM on 7 Aug 1940, assigned regimental number V9982, to be Acting Lance Sergeant 1 Sep 1940, assigned new regimental number K416512. Orr, Harry McLeod; Taken on strength 31 Battery 15th (Vancouver) Coast Brigade RCA NPAM 6 Aug 1940, assigned regimental number V9483, assigned new regimental number K415586, struck off strength away from regimental area 31 Oct 1940, deceased 12 Feb 1965. 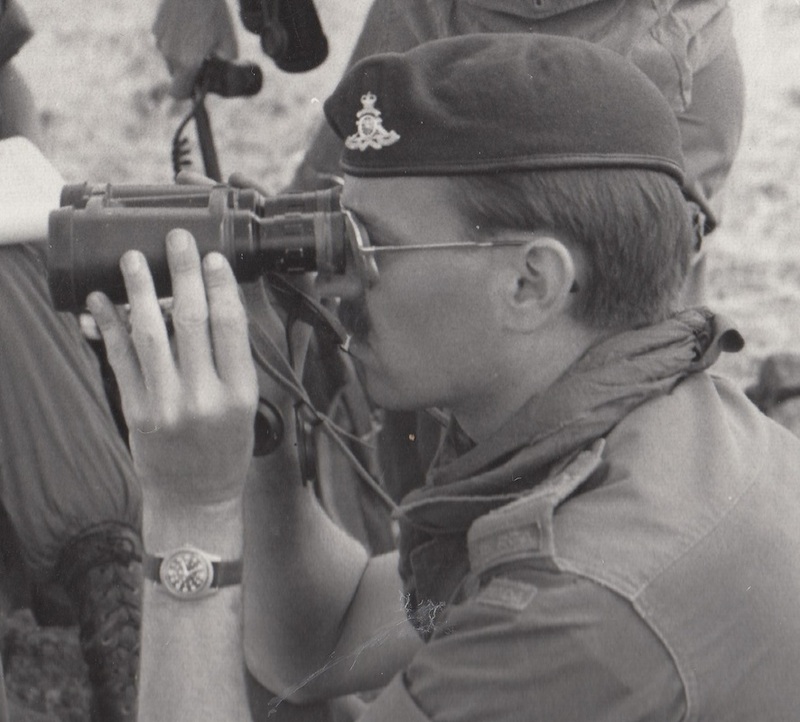 ​Orr, RT; Private in 158 Battery in 1969, Sergeant. Orre, Glen Hugo; Taken on strength with 31 Battery 15 Field Regiment RCA on 22 Jan 1948, appointed Lance Bombardier on 23 Sep 1948, struck off strength on 10 May 1951. Orsolan, Frank Luigi; Taken on strength as a Gunner in 15th Field Artillery Regiment RCA on 25 Mar 1982, released on 30 Apr 1983. 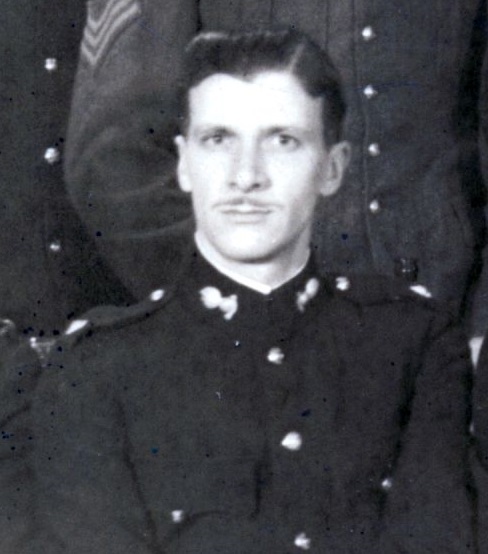 Osborne, Dennis Joel; Taken on strength 15 Field Regiment RCA on 13 May 1954, struck off strength on release on 13 Jan 1955. Osborne, JEE; Lieutenant in 15th (Vancouver) Coast Regiment RCA in 1944. Osborne, William George; Taken on strength 2 years 21st Essex Fusiliers, attested 3rd Battery 1st Brigade Canadian Field Artillery 22 Sep 1914, regimental #40696, promoted Bombardier 14 Nov 1914, embarked for France 2 Mar 1915, to be Corporal 23 Apr 1915, promoted Sergeant 18 May 1916, granted leave of absence 26 May 1916, rejoined unit 3 Jun 1916, invalided sick and posted to Canadian Artillery Regimental Depot 28 May 1917, attached to 2nd CCD 27 Aug 1917, cease attachment 5 Apr 1918, taken on strength Reserve Brigade 6 Apr 1918, attached Canadian School of Gunnery 11 Apr 1918, taken on strength Canadian School of Gunnery 30 Apr 1918, taken on strength Composite Brigade 22 Jun 1918, taken on strength 68th Battery 16th Brigade North Russia Expeditionary Force 21 Aug 1918, proceeded overseas 20 Sep 1918, disembarked Archangel 1 Oct 1918, reverts to permanent grade of Gunner at own request 14 Apr 1919, embarked for the United Kingdom 11 Jun 1919, to Canada 5 Jul 1919, discharged 15 Jul 1919. Osburn, WF; Second Lieutenant in 31st Heavy Battery in 1939. Osgood, HN; Regimental number K11009, Sergeant attached 15th (Vancouver) Coast Brigade RCA NPAM from the Instructional Cadre 25 Nov 1940. Ostrowercha, Wayne Stephan; Taken on strength as a Musician in 15th Field Artillery Regiment RCA on 19 May 1978, released on 1 Nov 1980. Oswald, John Christian; Taken on strength as a Captain in 31st Heavy Battery, 15th (Vancouver) Coast Brigade RCA NPAM on 30 Jul 1940, Major in 1941, Battery Commander 58th Battery 15th (Vancouver) Coast Brigade RCA NPAM in 1941. Oswell, EH; Lieutenant in 15th (Vancouver) Coast Regiment RCA in 1942, Captain in 1944 and 1945, Acting Battery Commander from 8 Jan 1945 to 13 Feb 1945. Otterstein, Eckhard Karl Heinz; Taken on strength 15th Field Regiment RCA on 30 Oct 1958. ​​Otway, John E; Taken on strength as a Gunner in 5th (BC) Field Battery RCA on 6 Nov 1978, qualified QL2 General Military Training on 7 Jun 1970, transferred to 15th Field Artillery Regiment RCA on 15 Dec 1982, qualified Forward Observation Officer on 11 Oct 1984, transferred to Supplementary List on 1 Apr 1987, transferred to 15th Field Artillery Regiment RCA on 18 Jun 1987, promoted Sergeant on 4 Jun 1988, transferred to Supplementary Ready reserve on 25 Jun 1994. Oughton, JM (Mel); Lieutenant in 15th Field Regiment RCA in Apr 1948, to be Captain on 1 Jun 1949, appointed Adjutant on 1 Sep 1949, to be Major on 8 Mar 1952, struck off strength on transfer to Supplementary Reserve (RCA) on 1 Sep 1957, attached fap from Supplementary Reserve (RCA) on 3 Sep 1957, ceases attachment on 15 Oct 1958, taken on strength on transfer from Supplementary Reserve (RCA) on 16 Oct 1958, appointed Battery Commander 31 Battery on 16 Oct 1958, deceased 23 Oct 2001. Oulette, John Paul; Taken on strength as a Gunner in 15th Field Artillery Regiment RCA on 12 Apr 1994, qualified QL2 Common Recruit on 30 Jun 1994, qualified LFC Driver Wheeled on 11 Aug 1995, qualified QL3 Artillery on 5 Mar 1995, promoted Bombardier on 19 Sep 1996, released. ​Oullette, Stephen Thomas; Taken on strength as a Gunner in 15th Field Artillery Regiment RCA on 4 Feb 1993, qualified QL2 Recruit on 28 Jul 1993, qualified QL3 Artillery on 28 Mar 1994, qualified Driver Wheeled on 10 Jun 1994, qualified Artillery Communications on 12 Aug 1994, promoted Bombardier on 6 Feb 1995, qualified Machine Gunner on 7 Jul 1995, promoted Master Bombardier on 8 Feb 2001, Sergeant. Oulton, Charles Artheur; Taken on strength as a Gunner in 15th Field Artillery Regiment RCA on 24 Feb 1976, qualified General Military Training on 5 Jun 1976, released on 30 Sep 1976. Outram, Alfred Allan; Attested “C” Battery Royal Canadian Horse Artillery 3rd Battery 15 Nov 1915, regimental #348552, transferred No 1 Section 3rd Division Ammunition Column 1 Jan 1916, embarked St John 11 Mar 1916, disembarked Liverpool 25 Mar 1916, appointed Provisional Bombardier 1 Apr 1916, embarked for France 14 Jul 1916, confirmed Bombardier 7 May 1916, promoted Corporal 13 Sep 1916, promoted Sergeant 28 Oct 1916, reverts to Gunner at own request 23 May 1917, taken on strength 31st Battery 9th Brigade Canadian Field Artillery 24 May 1917, admitted #1 Casualty Clearing Station gas shell 5 Sep 1917, taken on strength Canadian Artillery Regimental Depot 12 Sep 1917, taken on strength Reserve Brigade 5 Apr 1918, taken on strength Composite Brigade 23 May 1918, taken on strength 68th Battery 16th Brigade North Russia Expeditionary Force 21 Aug 1918, proceeded overseas 20 Sep 1918, disembarked Archangel 1 Oct 1918, embarked for the United Kingdom 11 Jun 1919, to Canada 5 Jul 1919, discharged 15 Jul 1919, employed as Civil Engineer, married Mary Muriel Daley 17 Dec 1927, deceased 25 Oct 1974, interred Port Hope Union Cemetery ON. Overholt, John Dexter; Major in 3rd Light Anti-Aircraft Regiment Royal Canadian Artillery on 1 Mar 1944, Lieutenant-Colonel from 1949 to 1951, Commanding Officer 43rd Heavy Anti-Aircraft Regiment RCA from 1949 to 1951, awarded Canadian Forces Decoration 15 Jan 1951, deceased 1 Sep 1979, buried Mountain View Cemetery Vancouver BC. 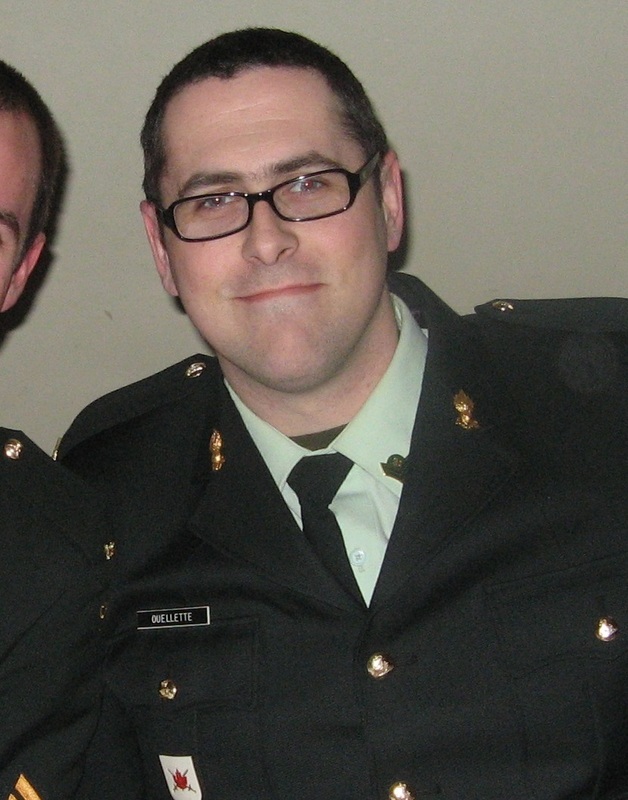 Overy, Jason AW; Taken on strength as a Musician in 15th Field Artillery Regiment RCA, Bombardier from 2007 to 2017. 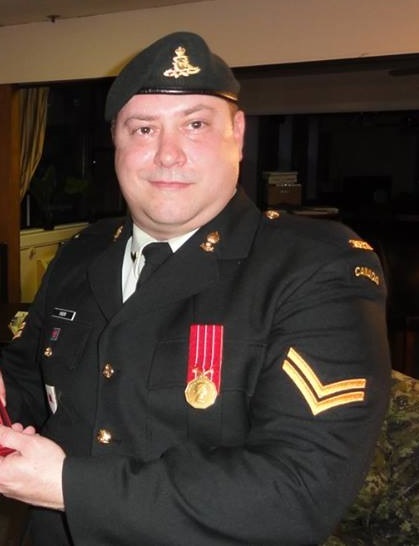 Owen, TA; Staff Sergeant listed on the Warrant Officers and Sergeant’s Mess gong. ​Owens, RG; Private in the Regimental Band in 1969.